Custom Writing team picked up these grammar and style guides, so you can learn all the important grammar rules and follow them in writing and speaking. Have no time? Purchase essay in 5 minutes and get the grades you deserve. Fowler’s Modern English Usage by Henry Watson Fowler is a classical reference book offering the best advice on English usage. It contains comprehensive and practical advice on grammar, syntax, style, correct words choice, and clear examples. The New Fowler’s Modern English Usage (1996). The Chicago Guide to Grammar, Usage, and Punctuation is a brilliant book by Bryan A. Garner where the author gives clear explanations of the English language vagaries. The guide describes standard literary English along with the history of its development. Garner's Modern English Usage (GMEU) by Bryan Garner is a dictionary of English usage and contemporary English style guide. The book focuses on usage, pronunciation, style, correct use of the often-confused words/phrases, and offers tips to avoid verbalism and obscurity. Garner's Modern English Usage (2016). Grammar at OxfordDictionaries.com provides a quick reference list of grammar terms as well as information about parts of speech, sentences, clauses, and phrases. There are also explanations of some tricky English grammar rules. HyperGrammar is an online grammar course at the University of Ottawa’s Writing Centre. Here, you can find a grammar rules guide and a list of online resources (including reference works, textbooks, and workbooks) to help you with your writing. The handbook at Grammarly.com is a grammar guide that quickly explains English grammar, style, and word choice. You can study English grammar rules and usage with fun free grammar tools at YourDictionary, including grammar rule guides, games, worksheets, quizzes, word lists, and grammar tips. The Purdue Online Writing Lab will help you use correct grammar in your writing. Grammar, spelling, and punctuation handouts are available along with additional information on each topic. English Practice gives a great selection of short lessons on different grammar topics. The Guide to English Grammar and Style by Professor Jack Lynch of the University of Pennsylvania is a popular humorous grammar guide that will improve your writing and grammar skills. The Guide to Grammar and Writing by Capital Community College will provide you with outstanding lessons and over 170 computer-graded quizzes covering most aspects of English grammar and usage. Modern English Grammar presents a review of the structure of modern English grammar, as well as tools for text analysis and explanations of common mistakes. Need help with your citation style? With the Citation Style Guidelines from Custom-Writing.org, you can learn how to format your writing according to the most popular citation style standards: APA, Chicago, CSE, Harvard, MLA, and Vancouver. The Online Guide to Writing and Research will help you write your academic papers more effectively. Literacy Education Online from St. Cloud State University, Minnesota, provides handouts on a variety of writing topics. Click on any phrase that describes your current difficulties in writing and grammar. The Elements of Style by Bartleby.com is a must-have for any writer or student. This guide focuses on language usage rules and principles of composition that are frequently violated. The Cambridge Encyclopedia of the English Language by David Crystal is a perfectly written and visualized study of the history, structure, and usage of the English language. He covers structural features and vocabulary, as well as a full description of grammar, writing, and pronunciation systems. The book is not available in open access. Quick guides and well-structured handbooks are exactly what you need when you want to improve by are short on time. The Grammar Handbook at the Writers’ Workshop, University of Illinois, explains and illustrates basic grammar rules and common problems with usage. At About.com Grammar and Composition, you’ll find articles and exercises to help you become a more effective writer by improving both grammar and style. Spoken English Errors is a quick guide from Tutorials Point that helps English learners spot and correct their most common errors. The Quick and Easy Guide to Learning English Grammar Tenses is a brief manual from FluentU that will help you understand English tenses. With the English Grammar Guide from Education First, you’ll master the entire scope of English grammar quickly and easily. GrammarBook is a free resource that offers helpful information about grammar and punctuation usage. Grammar Rules is an awesome resource from the Complete Ginger Grammar Book to help you master English grammar. The Handbook of Good English by IELTS House is a handy manual that highlights the key points and rules of grammar. It touches on grammar, sentence structure, spelling, punctuation, and classic ESL blind spots. Dive deep into the parts of a sentence with Sentences and Grammar from Athabasca University’s English Grammar Handbook. An English Handbook for the University of Pretoria provides a set of notes on the most frequent grammar issues faced by students and professors at the University of Pretoria. These materials are very helpful to anyone who wishes to improve their English skills. English Verb Tenses by K. Uchiyama is an informal but extensive reference for anyone who’s perplexed about using tenses in English. The Handbook of English Linguistics from the Wiley Online Library is a selection of articles by leading professionals in the field of English linguistics, covering topics like syntax, phonetics, lexis, morphology, stylistics, and more. This page from The Writer’s Handbook of the Writing Center at the University of Wisconsin-Madison is here to help you with grammar and punctuation. Dig for other helpful rules by browsing the site’s other pages. The English Style Guide by the European Commission Directorate-General for Translation is an awesome handbook for authors and writers, last updated in December 2016. The University of Oxford Style Guide is an expansive handbook with guidelines for document writing and formatting for Oxford University students and staff. Quick grammar at the British Council Learn English website provides explanations of 48 common English grammar topics. There is a fantastic number of English grammar resources online. Boost your grammar skills with these ESL English grammar lessons. Daily Grammar Archive contains numerous lessons and quizzes that will help you improve your knowledge on parts of speech, words, sentence formation, and punctuation. Dave’s ESL Café by Dave Sperling boasts over 2,500 links in grammar, writing, reading, listening, TOEFL, pronunciation, news, vocabulary, magazines, games, dictionaries, poetry, and music. English Grammar Secrets is a selection of English grammar rules for learners of different levels—from beginners to advanced students. The BBC’s excellent Learning English site features audio, video, and interactive materials to help foreign speakers learn English. At EnglishGrammar.org, you will learn all aspects of written English and improve your writing skills in both personal and formal communication. GrammarMonster.com offers free English grammar lessons and tests. You can also find a glossary of grammatical terms and information about common grammar mistakes. Learn English Today provides free lessons with exercises and word games for ESL learners. Here you can learn English grammar rules, verbs tenses, and vocabulary. GrammarFlip is a free interactive online resource that helps students of all abilities learn, practice, and master English grammar concepts. Sign up and start learning! EnglishClub is a free website for learners and teachers of English. Most of the grammar lessons include quizzes to check your understanding. In her grammar lessons, English Teacher Melanie focuses on explaining sentence structure. You will learn how to use specific verbs and structures in an English sentence. Grammar Guru at mooec.com is a grammar course for non-native English speakers. It teaches all levels of English grammar necessary for success in English proficiency exams such as the IELTS, FCE, CAE, TOEIC, and TOEFL. Learn American English Online is a free website that has helped ESL students worldwide improve their English grammar and vocabulary skills since 2003. As you learn, you’ll progress through seven levels of instruction: blue, red, yellow, green, purple, orange, and violet. You can also learn English grammar effectively with video lectures from Learners TV. Better English has been helping ESL learners learn business English online since 1998. Improve your grammar skills with these business English grammar exercises. ESLgold.com offers grammar resources for ESL students of different language levels. Learning English grammar can be fun and easy. Enrich your English vocabulary with the world’s best dictionaries. With Merriam-Webster’s Dictionary and Thesaurus online, you have access to over 275,000 synonyms, antonyms, and idioms to make your language more effective and precise. Use Cambridge Dictionary to make your words more meaningful. Find a word’s meaning and definition along with its correct pronunciation and exact translation. Macmillan Dictionary is a powerful resource from Macmillan Publishers. Check out the site’s blog posts, learn buzzwords, read the crowdsourced dictionary, watch videos, and do many other interesting things here to improve your English. Merriam-Webster’s Visual Dictionary is an unusual way to explore new words and ideas online. Investigate 6,000+ images in 15 different themes to learn words like never before. Thesaurus.com is a trusted free thesaurus online with over 3 million synonyms and antonyms. This website has existed for more than 20 years and keeps helping millions of users improve their English skills. Have you stumbled upon some unknown abbreviation or acronym? Then Abbreviations.com is what you need! Search hundreds of thousands of abbreviations in 10 categories. The Oxford English Dictionary (OED) is a comprehensive guide to more than 280,000 entries, providing the meaning, history, and pronunciation of words. Get helpful advice on the different aspects of technical and scientific writing. The Craft of Scientific Writing is designed to help engineers and scientists write about their work effectively and clearly. You’ll find the difference between strong and weak scientific writing and delve into the details of technical document writing. LabWrite’s page for improving lab reports will guide you through the entire lab report process to help you improve your scientific writing. Sentence Structure of Technical Writing by N. Kelley. The guide explains in a very clear and vivid way how to plan, write, and revise your technical work. The Technical Writing Guide from Michigan State University is a very detailed guide that gives a wide array of additional information for perfect technical writing. Technical Writing Guidelines from TechProse is a manual that offers technical writing guidance and sets norms for consistent and professionally written material. If you need to write a report, the Purdue OWL’s handout Writing Report Abstracts will provide you with the necessary steps to create solid and effective abstracts. How to Master Technical Writing by WikiHow is another handy guide to writing effective technical reports. You’ll find out how to understand technical writing, improve your writing approach and style, and use technical writing courses and resources. Tips and Guidance for Students Writing Papers and Reports by Gernot Heiser from Australia’s Global University is a practical piece of advice based on his own evaluation of his students’ technical writing. Technical Writing Guidelines is a brief list of suggestions to follow when writing any kind of technical paper. Discover some curious facts about the grammatical “ghost rules” in English—the ones that actually don’t exist! Common Errors in English Usage by Paul Brians will help you distinguish between the mythical "rules" and the real ones. Non-Errors is a list of English usages that almost everyone thinks are wrong but that are actually correct. Language Myths by Grammarphobia will help you discover the dead rules and imaginary taboos that most of us are still not aware of. Grammar Girl's Top 10 Language Myths is a special selection of the top 10 myths in the English language. You’ll definitely learn some facts about English that you never knew before! Another helpful article is 10 Popular Grammar Myths Debunked by a Harvard Linguist. This resource discusses grammar mistakes that may frequently muddle your writing. The article is based on Steven Pinker’s book The Sense of Style, which you can get for free in its audible version on Amazon. You can use grammar and spelling checkers to improve the quality of your writing. Grammarly will improve your communication by helping you find spelling and grammar mistakes. Virtual Writing Tutor offers an ESL grammar checker. Check your spelling, punctuation, and grammar with this free online grammar checker. PaperRater is a free online proofreader. And it’s really easy to use—just copy and paste your essay. Grammarchecker is a free online tool for personal use. 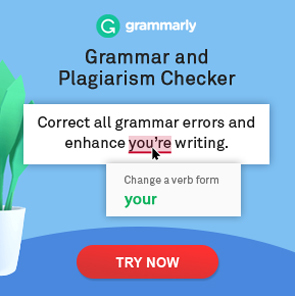 GrammarCheck.net provides a web-based online editor that checks for grammar and spelling mistakes and gives instant feedback. Use the free grammar checker from BestGrammar-Checker.com and improve your writing skills. SpellChecker.net offers a free online grammar and spellcheck tool that will help you communicate clearly and correctly. Learning grammar is easier than ever—just as long as you have the right mobile apps, of course! Garner's Modern English Usage is now available on iPhone and iPad. This excellent reference tool offers 8,000+ entries and essays to help you with your writing and editing. English Grammar in Use from Cambridge University Press. The only grammar app that intermediate English learners may ever need. They offer activities that will help you practice English grammar anytime, anywhere! English Grammar Test–Android Apps on Google Play is the best way to improve your grammar knowledge. It’s perfect for intermediate and upper-intermediate levels. Improve your grammar and boost your communication skills with LearnEnglish Grammar, an educational mobile app from the British Council designed for learners of all levels. There are both British and American English editions available. Getting ready to take an exam? Practice English grammar with the mobile app from Exam English. Here you can find all the grammar you need to pass exams like the TOEFL, IELTS, TOEIC, and Cambridge. I Love English podcast gives a series of lessons for effective English learning. Podcasts with transcripts are sure to help you remember everything you’ve learned. Test your grammar skills with online grammar tests and quizzes. LearnEnglishFeelGood.com has an entire section of online grammar quizzes. Grammar quizzes come in three levels: beginner, intermediate, and advanced. The free online English grammar test from British Study Centres consists of 40 short multiple-choice questions about English grammar. You can check your level of English grammar by using the free online grammar test from Grammaring. GrammarBank offers a multiple-choice grammar test for TOEFL preparation. The comprehensive English grammar test from Vancouver English Center features more than 140 grammar questions. Grammar Quizzes by Capital Community College will prove to you that learning grammar can be truly fascinating. Practice your English with free online grammar exercises and quizzes at Perfect English Grammar. English Media Lab provides fun, interactive English grammar games and puzzles that let you enjoy your learning experience. Business English Grammar Exercises and Quizzes helps non-native speakers practice problematic areas of English grammar in a business context. Learn English Through Pictures is an amazing way to study English, especially if you’re a visual learner. ManyThings.org offers a wide selection of interesting activities for ESL students, ESL teachers, and native English speakers as well. There are many different quizzes, word games, word puzzles, proverbs, and anagrams. The New Yorker’s Comma Queen is a constantly updated collection of short videos by Mary Norris about English rules that are commonly mistaken. You might find this resource helpful and entertaining. Apostrophe Catastrophes is a blog that records the rampant misuse of the apostrophe. Apostrophe Abuse contains links and visuals illustrating this common writing pet peeve. Enjoy the guilty pleasure of unforgivable grammar mistakes permanently inked on people’s bodies with Bad Grammar Tattoos! Learning grammar with Grammar Girl is fun! Complex grammar questions become simple when you use memory tricks to help you remember and apply all those tricky grammar rules. GrammarNOW! is another powerful resource for you to discover helpful websites to guide you in English grammar, writing, style, education, technical writing, and ESL. Use these English grammar resources to practice your grammar and improve your communication. I confess, I am a writer who struggles with grammar! This is a great compilation of resources for anyone who writes from business people to students. It has fun activities as well serious research, Julia Reed has put together a great article ! Thank you for sharing this. I can’t wait to add this on our website! Really glad you liked it and of course, feel free to share it on your website! This is a fantastic resource list that many of my clients and writing students will find very useful.